VIDEO @ vimeo.com/317324396 Seller will entertain offers $2,994,800 - $3,180,000. 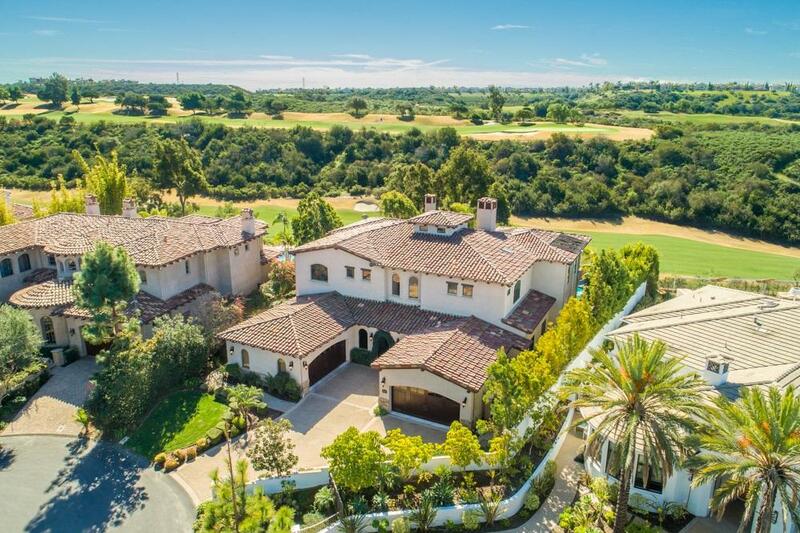 Luxury and Location exemplify this majestic Custom Estate in Meadows Del Mar. Very few estates offer pano golf course views combined with the finishes & features of this premier cul-de-sac property. Grand foyer entry w/ dual staircases, soaring ceilings, travertine & hardwood flooring, gourmet kitchen, huge master suite w/ private view deck. 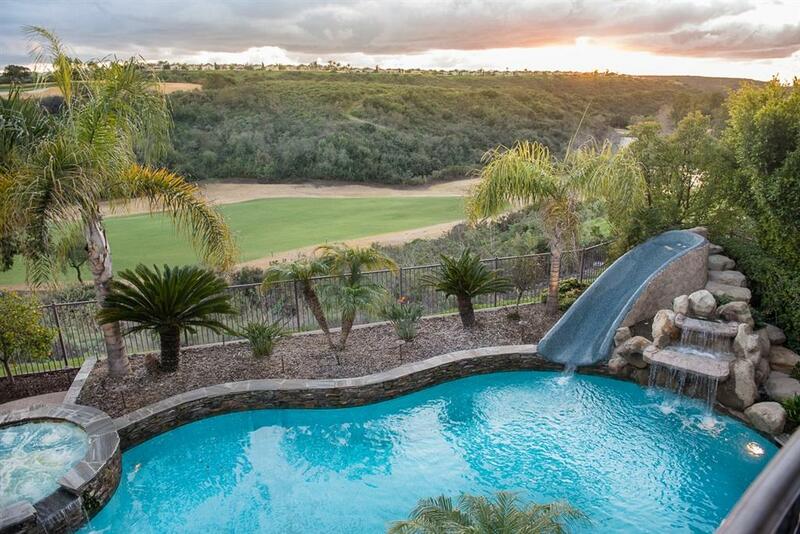 South-facing entertainer's backyard with pool/spa/slide, BBQ pavilion & GC VIEWS! WOW, this one has it all! Double door entry leads to a soaring foyer with dual staircases and wrought-iron railings and accents. Formal living with fireplace, huge picture windows highlighting the yard and view, hardwood flooring and fireplace. Formal Dining with dual chandeliers and wine closet. Gourmet Kitchen offers Thermador stainless steel appliances, six-burner cooktop with griddle, huge center island, custom cabinetry and gorgeous slab granite countertops. Spacious secondary bedrooms with private baths and walk-in closets. The Master Suite is exquisite in every way: retreat with fireplace, hardwood flooring, spa-like master bath with dual vanities and copper pounded sinks, massive jetted soaking tub for two people, walk-in steam shower and two walk-in closets with custom closet organizers. 4 car epoxied garage, mud-room, tons of storage closetsÃ¢â‚¬Â¦seriously, this list goes on and on. Must see to appreciate!